Since Food As Medicine: The Theory and Practice of Food was published in 2011, we have received countless requests for it to be turned into a distance learning course. 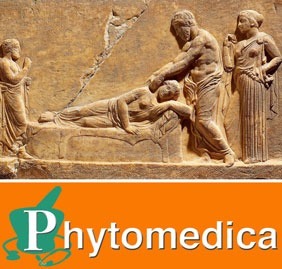 We appreciate that you can learn only so much from the written word, and with this in mind, have developed the Food As Medicine Online Learning Program that will bring to light the principles and practices of using food as medicine. The course itself is divided into twelve, highly detailed recorded webinars, and includes a copy Food As Medicine (2014 edition), on-demand instructional videos, an online forum, assessment materials, and every week while the semesters are running, participation in a 90 minute Q&A webinar with Todd Caldecott for an entire year. If you register for the Food As Medicine Online Learning Program before September 15 the cost is $445, but then increases to its regular price of $495 (including shipping). 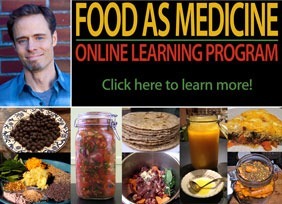 The new semester for the Food As Medicine Online Learning Program begins October 2. Make sure to register early to save money, and get your copy of Food As Medicine before the semester begins! Inside Ayurveda: next semester begins October 1! We continue to receive tremendous feedback from our students about the quality and value of our Inside Ayurveda program. Likewise, we are happy and impressed with the high calibre of students that we continue to attract. Students are telling us that there is nothing quite like our program, which aims to take someone with absolutely no background in Ayurveda, to a place where they can begin to implement it’s practices in their daily lives, or in their clinical practice. 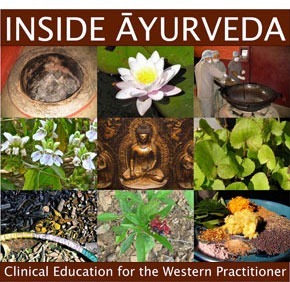 Inside Ayurveda is a program for people that have a deep passion for learning, that want to avoid the common faddisms that permeate the popular conception of Ayurveda. Students that successfully complete the Inside Ayurveda program receive credit in the DSBM Mentorship Program, and can also apply to partake in the Nepal-India Study Program that will run in early 2016. We are also happy to mention that the Course Notes for Inside Ayurveda have been further revised and expanded, and at 612 pages, is a highly detailed text that contains a wealth of knowledge. Make sure to register early, allowing 2-3 weeks to receive your copy of the Course Notes. We have recently developed an FAQ that describes all of the programs offered at the DSBM, including an in-depth explanation of our Mentorship program. Please check it out, and if you have any more questions, please submit them through our contact page.